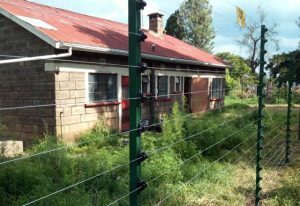 An Electric Fence is a barrier that uses electric shocks to deter animals or people from crossing a boundary.The voltage of the shock may have effects. This is a system designed for perimeter fence or wall protection against intrusion. 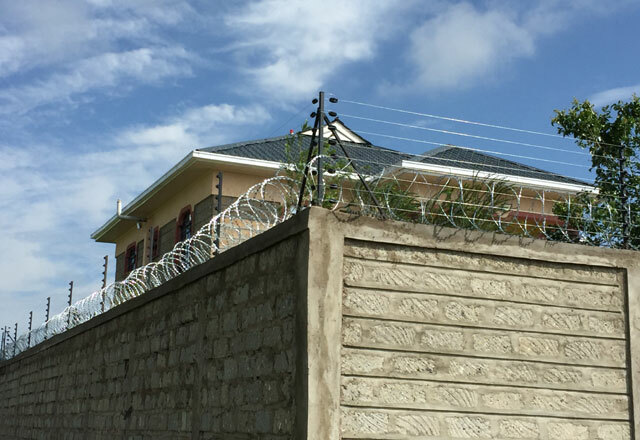 The fence is structured with posts and wires.The wires carry high voltage electricity of more than 8000 Volts and are constructed in series with live and earth wires alternating giving electric shock upon contact or intrusion. This is barbed tape concertina wire designed for fencing .Its structured with H.T. wire coiled with sharp blades of metal sheet making it impossible to cut using standard tools. It comes in different sizes and has proved to be a physical barrier in airports, military bases resident.